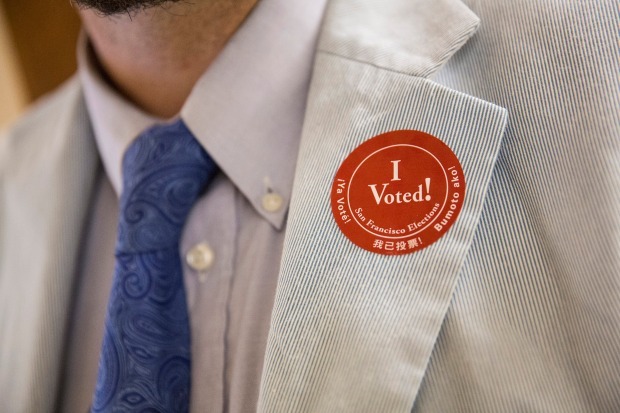 Thousands of Bay Area voters flocked to polling booths Tuesday to have their say in California's primary election. 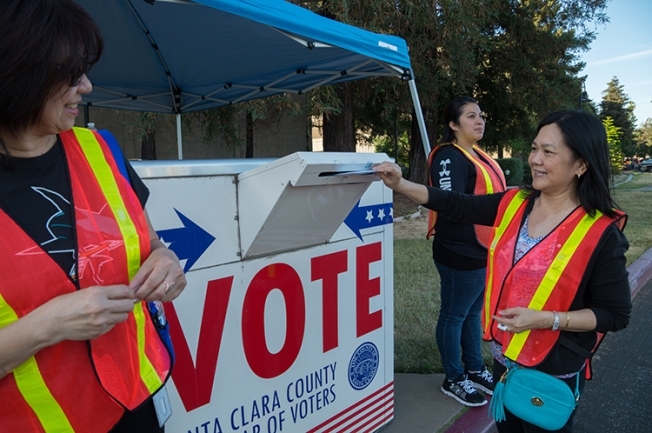 At the Santa Clara County Registrar of Voters late Tuesday, vehicles lined up from Berger Street to drop off their ballots quickly before the polls closed down. Several people appeared nervous and anxious to make sure their vote would count for their candidate, Bernie Sanders or Hillary Clinton. “I’m having a bad hair day, but nothing can stop me from voting! God bless America! God bless Hillary!” yelled Susan Alvarado while dropping off her ballot. Several people stood at the corner of Berger Street with signs to advocate for Sanders, and to inform No Party Preference voters of their ability to vote for the next presidential nominee. Inside, the polling booths were filled with voters hoping to make a difference. Camilo Moreno-Salamanca was one of those voters and could not help but feel proud to finally have the opportunity to vote after earning citizenship a few years back. For full local election coverage, visit NBC Bay Area's real-time results page.